ROB CLARK has lived and worked in the Mt. Washington Valley since 1985. Energetic and upbeat, Rob is well- known in the community. In his hometown of Bartlett, Rob served for twenty years as town moderator, along with two terms on the school board, and has been coaching youth sports since 1998. 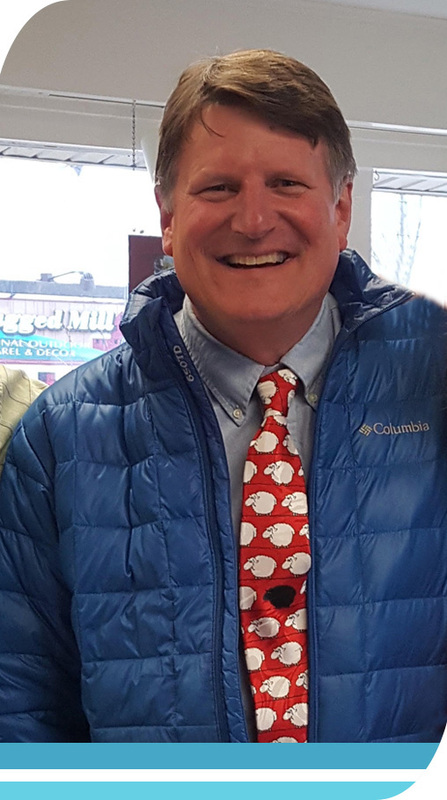 You might also recognize him as a weekend host of White Mountains Today on White Mountains TV 16 or as master of ceremonies for numerous non-profit auctions and events. As a Justice of the Peace, he also has performed many weddings, both in the Valley and atop local peaks. IN STARTING The RecycleMobile, Rob is using many of the extensive skills he taught as the business teacher at the Mt. Washington Valley Career Tech. Prior to teaching, Rob worked on the management level for Story Land for nearly two decades, which had him teaching work skills to many of the area’s teens in their first job. Rob brings this commitment to education to his new company. Don’t get Rob started on all the Mount Washington Valley has to offer, or why it’s the best place to live and raise a family. You’ll quickly see why creating the RecycleMobile was so important to help maintain the quality of life we have come to love.